The beach looked typical for a January high tide day: surf surging across the sand in two places into the lagoon; water rushing seaward through the outlet channel, now shifted far to the east. Fifty degrees, warming to fifty-nine by noon. Gulls and ducks galore, with enough American Coots mixed in to keep them honest. Beyond the shear numbers of birds, we didn’t see much that was unusual for this typical winter day. Large waves and high tide combined to keep birds from the offshore rocks and out of the surf zone. Farther out – too far to identify – we could see large rafts of gulls resting on the water. Low fog prevented us from seeing if Black-vented Shearwaters were even further away. 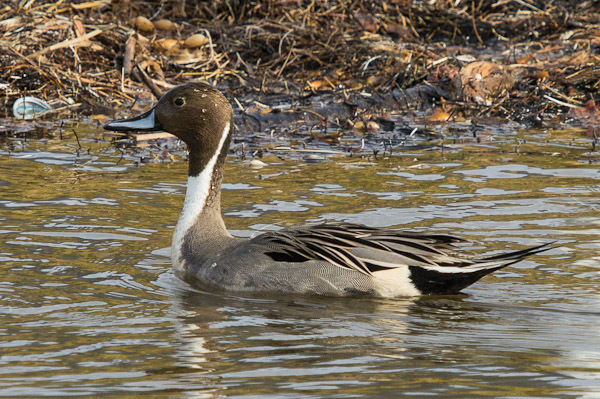 The Northern Pintails were still there, increased to ten from seven in December. The 81 Snowy Plovers on the beach set yet another record. Banded bird GG:AR was present. Fellow bandee NO:WW was not seen, but with so many birds present and shifting around, it’s difficult to make sure all are actually checked. A question arose as to the life-span of our local gulls. Here’s some information from The Audubon Society Encyclopedia of North American Birds. I personally think the erratic longevities reported are the result of scanty data rather than actual likely life-spans. As with most species of birds, and as it used to be with humans, mortality in the first year is very high. Herring: One banded in Holland lived to 31 years 11 months. Two captive birds in Morehead City, NC lived to 45 and 49 years. Mew: One reported from Denmark to be 24 years, 2 months. Ring-billed: A Mich. study recorded 67% were 3-5 years old. One bird banded in Mich died at 21 years. Western: Oldest reported 16 years; probably much longer lived, as with Herring. Black-legged Kittiwake: One banded in Denmark lived 15 years, 10 months. 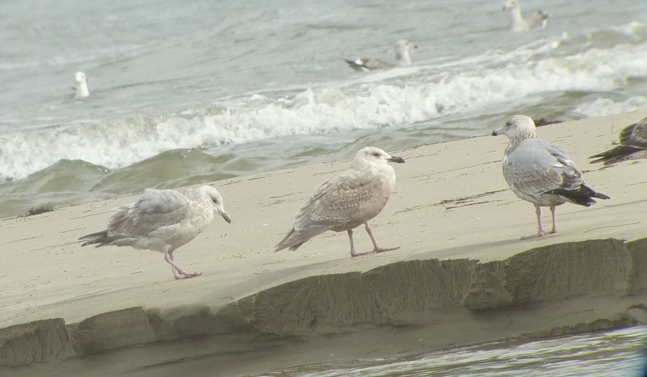 Caspian: One banded on Lake Michigan & collected at 26 years, 2 months. Common: One banded bird recovered in England 25 years. Least: One banded in Mass. lived 21 years. Royal: One banded in SC lived 10 years, 8 months. Our next three field trips: Salton Sea – 11/12 Feb, 9am; Malibu Lagoon – 26 Feb. 8:30 & 10am; Sycamore Canyon 10 Mar., 8:30am. Our next program: Tuesday, 7 February, 7:30 pm – Owls of Southern California, presented by Lance Benner. The usual reminders will be emailed from the blog. 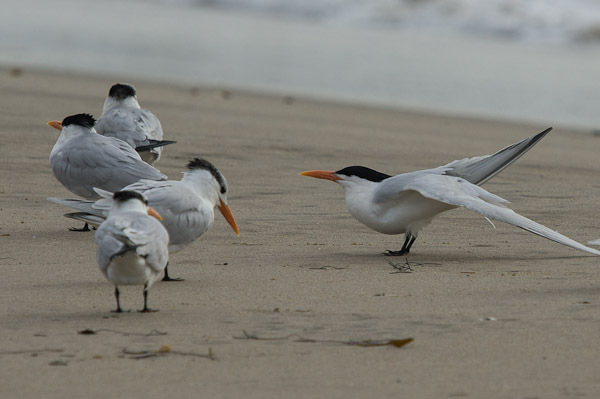 As a reminder to those coming to our 10 a.m. Parent’s & Kids Birdwalk, it meets at the beach trail footbridge closest to the parking lot.